Today [December 12], MTV Act, in partnership with USAID and the Ad Council, has launched the “MTV Fights Hunger Auction,” an online holiday auction that features garb from celebrities and favorite MTV stars such as the cast of the Jersey Shore. All proceeds go to a group of eight NGO’s working on the ground in the Horn of Africa to help victims. This is the next action of USAID’s FWD Campaign to raise awareness about the crisis, where millions are living without access to regular food and water. Auctioned items include a signed guitar strap from Nick Jonas, a signed copy of Kelly Clarkson’s new album, an autographed skateboard and deck from champion skateboarder Rob Dyrdek, a signed t-shirt from Trey Songz, and lots of memorabilia from Jersey Shore stars. Two items are expected to generate a lot of buzz: tickets to a taping of the Jersey Shore after-show in Los Angeles and tickets to MTV’s New Year’s party in Times Square. The auction will run through December 18th. Many at US AFRICA COMMAND may not realize that our HIV/AIDS program is the largest health program executed on the continent. At approximately $114M this program touches the lives of thousands of members of African militaries and their families. The HIV/AIDS program sponsors testing, education, prevention and construction of laboratories in 43 partner nations. AFRICOM is proud to work and engage with our African partners and support them in conquering this disease. World AIDS Day is celebrated on December 1st each year around the world. It has become one of the most recognized international health days and a key opportunity to raise awareness, commemorate those who have passed on, and celebrate victories such as increased access to treatment and prevention services. UNAIDS took the lead on World AIDS Day campaigning from its creation until 2004. From 2004 onwards the World AIDS Campaign’s Global Steering Committee began selecting a theme for World AIDS Day in consultation with civil society, non-governmental organizations and government agencies involved in the AIDS response. Themes run for one or two years and are not just specific to World AIDS Day. Campaigning slogans such as ‘Stop AIDS and Keep the Promise’ have been used year round to hold governments accountable for their HIV and AIDS related commitments. This year’s theme “Getting to Zero” reinforces the need to become educated about HIV/AIDS prevention and explains how we can make a difference. Nairobi, November 16, 2011. Today we visited Jane, a woman we’d met three years ago. A single mother of two, Jane is HIV positive and lives in Kibera, the largest slum in Africa located in Nairobi, Kenya. In 2006 she fell seriously ill and was so close to death that her parents sold her slum dwelling to pay for a coffin. Somehow, she survived. But she had nothing. A USAID project (called HEART) which helps women like Jane, found her, got her on anti-retroviral drugs (ARVs), and started teaching her and 10 other women business enterprise skills. In 2010 Jane graduated from the program and set out to start her business. “At first I learned from market women who were farther ahead of me,” Jane reminds us. Slowly, she was mentored and eventually started selling dried fish in quantities measured by an old coffee can, 20 cents worth. Today, she is healthy and sells omena – small fish from Lake Victoria – wholesale to Kenya’s largest grocery store chain, Nakumatt. Managing impressive transactions, she’s now considering taking on a partner. Her two children are in good schools, the eldest in her first year of university studying, what else, commerce. Last month Jane bought a piece of land where she’ll eventually build a home for her family. As the chairperson of a women’s cooperative, Jane’s group is saving to buy a truck to better transport their fish to market 500 miles away in Nairobi. The Jane we meet today is a successful working woman and an inspiration to other women who find themselves in the dark days of HIV. Speaking as a HEART alumnae, Jane inspired this year’s class of 34 small business graduates – women who are facing poverty, discrimination, and poor health, as Jane once did. Jane is not defined by her HIV status. As we chat, her cell phone rings. “You don’t mind if I take this?” she asks politely. Of course not, we reply. After all, she has a business to run. James Moolom serves as a Cultural Affairs Specialist at the U.S. Embassy in Abuja, Nigeria. Lead poisoning is a preventable childhood disease, and Nigeria needs to take the necessary steps to address the situation. This was the central theme of Dr. Mary Jean Brown, the Chief of the Healthy Homes and Lead Poisoning Prevention Branch at the U.S. Centers for Disease Control and Prevention (CDC), during her recent visit to Nigeria. Dr. Brown’s speaking tour was organized by the U.S. Mission in Abuja, in partnership with the Miners Association of Nigeria and CDC. Dr. Brown is an internationally recognized expert and leader in the field of childhood lead poisoning prevention. She has provided her expertise to health officials in the United States, China, Kosovo, and Nigeria, among other locations. Dr. Brown was accompanied on her trip to Nigeria by Dr. Paula Burgess, who currently serves the Deputy Associate Director for Science in the Office of the Director for the National Center for Environmental Health and the Agency for Toxic Substances Disease Registry. 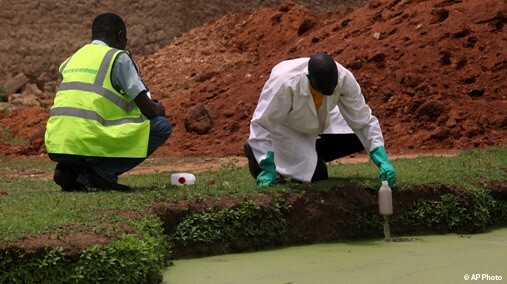 During her time in Nigeria, Dr. Brown traveled to Enugu, Abakaliki, Kaduna, Lafia, and Abuja, where she shared her expertise on lead poisoning with numerous health and environmental officials, miners, NGO activists, community leaders, and the media. Dr. Brown’s presentation, which focused on the dangers of lead contamination, significantly raised public awareness of the issue and challenged government officials, community leaders, and miners to address the problem. Haphazard and artisanal mining activities across the country, especially in Zamfara, Ebonyi and Nasawara states, have continued to wreck havoc on the environment, and have had a deadly impact on the health of children less than five years old. In 2009, a serious lead poisoning situation was reported in Zamfara, and hundreds of deaths and severe disabilities among children were related to high-level lead exposures in many villages. In her presentation, Dr. Brown not only highlighted key concerns about lead poisoning, but provided strategies that can help reduce lead exposures especially among children and pregnant women. She urged the Government of Nigeria to make and enforce laws on mining to ensure that ore processing is safer in Zamfara and in other parts of the country. According to Dr. Brown, Nigeria is blessed with a lot of valuable minerals, but they must be used and processed responsibly. The impact of lead poisoning on any affected community is enormous. Apart from killing children, the disease also causes brain damage, low IQ, and miscarriages in pregnant women. Given the current lead poisoning situation in Bagega village of Zamfara State, Dr. Brown advocated for a clean-up of the village. In addition, she proposed the creation of sustainable public health programs to help identify lead-poisoned children and provide the needed medical interventions. Dr. Brown’s visit brought attention to the lead poising situation in Nigeria. She visited Musa Mohammed Sada, the Minister of Mines and Steel Development and Hadiza Ibrahim Mailafia, the Minister of Environment. In their discussions, Dr. Brown urged the ministers to help promote safe mining and ore-processing activities across the country. In addition, Dr. Brown requested the ministers and other public health officials in Nigeria to work together with the World Bank, UNICEF, CDC, and other international donor agencies to provide funds for the immediate remediation of high-priority lead-contaminated villages in Zamfara. Angela Stephens is a Development Outreach and Communications Officer in the Africa Bureau. In South Sudan, farmers, researchers, and the private sector are coming together with the help of USAID to showcase the new nation’s agricultural potential. 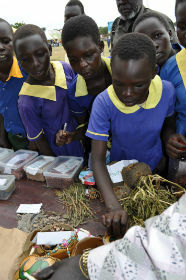 On November 9 to 12, USAID supported the first agricultural trade fair in Juba, South Sudan. National and international entrepreneurs came to learn about opportunities in agriculture, fisheries, livestock, and forestry. Farmers from 10 different states showcased their products, including items such as cassava, bamboo, flowers, beeswax, gum arabic, fruit, vegetables, and dried fish. Among displays of tractors and farm equipment, students learned about the agricultural industry and experts demonstrated planting and irrigation techniques at interactive exhibits. “Agriculture affects every citizen of South Sudan, a nation in which more than 80 percent of the population lives in rural areas and depends on agriculture, livestock, fisheries, and forestry for their livelihood,” said USAID Deputy Mission Director Peter Natiello at the opening of the fair. Republic of South Sudan Vice President Dr. Riek Machar Teny welcomed farmers and exhibitors who came from across South Sudan and the region to attend the fair. As an example of South Sudan’s enormous potential, Vice President Machar described how rich Western Equatoria state is in its agricultural production, including mangoes and pineapple, but farmers face challenges in bringing their goods to market. “This is where we need investors to come in who can buy products and preserve them, either process it locally, can it, or dry it, and then send it to the areas that do not produce these products,” he said. USAID is working with the Government of South Sudan to help the new nation tap its great agricultural potential and reach its goal of becoming food secure, including by improving agricultural productivity and strengthening the capacity of the private and public sectors to support market-led agriculture; by helping to develop a commercial domestic seed and fertilizer industry; and by investing in infrastructure, including roads that will help farmers access markets for their products. Back in 1986, an 18-year-old Domingos Caspa, was walking along a well-used trail through a field near his house in the village of Nhancole in northern Mozambique, heading over to a neighbor building a new house. Along the way, he stepped off the path and onto a landmine, joining thousands of innocent civilians injured every year by abandoned munitions. Today, U.S. humanitarian demining assistance has brought new hope for a safer future for Domingos and his family, and countless other communities, as Mozambique moves closer to becoming mine impact-free. Mozambique’s challenges from landmines and unexploded ordnance dates back to the country’s 1964-1975 war of independence and continued throughout the civil war that followed. By the end of conflict in 1992, Mozambique was among the world’s most severely landmine-affected countries in the world with hundreds of mined areas, including a 20-mile belt of landmines set to protect key infrastructure, such as the Cahora Bassa Dam and power lines. For more than 13 years, the United States has actively invested in Mozambique’s future, with more than $44 million toward efforts to safely clear landmines and unexploded ordnance. 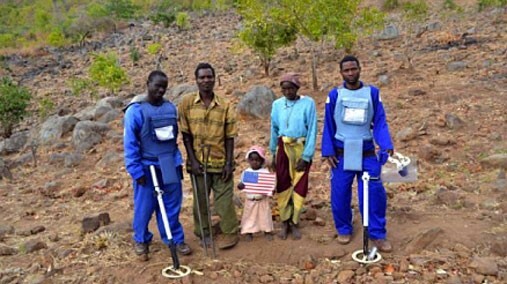 Since 2007, the Office of Weapons Removal and Abatement in the U.S. Department of State’s Bureau of Political-Military Affairs (PM/WRA) has provided more than $7.4 million in support to the HALO Trust, a UK-based humanitarian landmine clearance organization and leading U.S. partner in humanitarian demining. Among its many programs, HALO trains and equips area residents to take on demining operations, fostering local capacity and expertise. By 2009, these teams succeeded in clearing the northern half of Mozambique with the removal of 100,843 mines in 552 mined areas in the provinces of Niassa, Cabo Delgado, Nampula, and Zambezia. The removal of these mines has resulted in countless numbers of lives saved and injuries prevented. In many countries around the world, landmines and unexploded ordnance inhibit development, disrupt markets and production, prevent the delivery of goods and services, and generally obstruct reconstruction and stabilization efforts. By removing these deadly hazards, we can help children, families, and communities to live in safety, as well as encourage the socio-economic development needed to further the larger goal of promoting peace and prosperity. • Supporting rehabilitation programs serving those injured by landmines and unexploded munitions. The United States is proud to be the world’s single largest financial supporter of conventional weapons destruction programs, such as humanitarian demining, and to help countries like Mozambique build their own expertise and take a leadership role in solving the problem. Thanks to U.S. support, HALO deminers brought hope for a safer future along with their demining equipment, and Mozambique is on track to being able to declare itself mine-impact free by 2015, a day that can’t come soon enough for Domingos Caspa and his family. Gregory L. Garland serves as the Charge d Affaires at the U.S. Embassy in Praia, Cape Verde. Only three men have received the prize of $5 million dollars — Festus Mogae of Botswana, Joaquim Chissano of Mozambique, and now Cape Verde’s former President, Prime Minister and veteran political figure Pedro Pires. 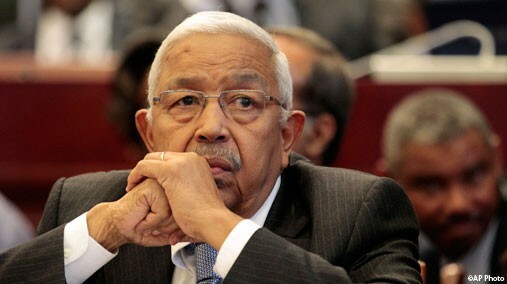 Pires, 77, won the award for his contribution to Cape Verde as a “model of democracy, stability, and increased prosperity.” Specifically, the award cited his influence in assuring Cape Verde’s successful transition in the early 1990s from one-party to multi-party governance. Pires first learned of his award during his daily workout at a gym. In his typically modest fashion, Pires spoke to reporters emphasizing the Cape Verdean nation, not his own individual role and politely begged the reporters to let him finish his exercise routine. Consider for a moment the state of Africa two decades ago. In the wake of the fall of the Berlin Wall, strongmen dominated much of the continent. Despite tentative olive branches, the white-minority apartheid apparatus still clung to power in South Africa with the barrel of a gun. Chissano’s Mozambique had suffered a gruesome civil war and seemed set for a generation of violent retribution. It was at this moment that the wind of democratic change in Cape Verde began to blow across Africa. The Cape Verdean model of the strongman and his party stepping down after electoral defeat set the standard for such countries as South Africa and Mozambique. The vitality of the Cape Verdean democracy, so recently demonstrated in a hotly contested presidential contest to succeed Pires, remains a refreshing tonic for Africans struggling to find a lasting democratic way forward. No praise of Pires, however, should go without mention of his long-time comrade in arms, colleague in peace, and mentor in politics, Aristides Pereira, who passed away on September 22 at the age of 86. Pereira and Pires fought under the Cape Verde/Guinea-Bissau liberation movement’s founder and leader, Amilcar Cabral in Guinea-Bissau. They knew much of the liberation-era leadership of Mozambique and Angola as well, including Chissano, who watched closely what the Cape Verdeans were achieving. For most of Pereira’s tenure as president, Pires was prime minister. Together, they directed Cape Verde out of five centuries of suffocating colonialism and into policies that have achieved a high rate of literacy; strong, consistent market-based economic growth; judicious regional leadership; and democratic rule of law at home. Together, they said yes to democracy and gracefully stepped aside at the decision of the voters. In Cape Verde itself, the four-day mourning for Pereira has in many ways set the stage for Pires’s award.